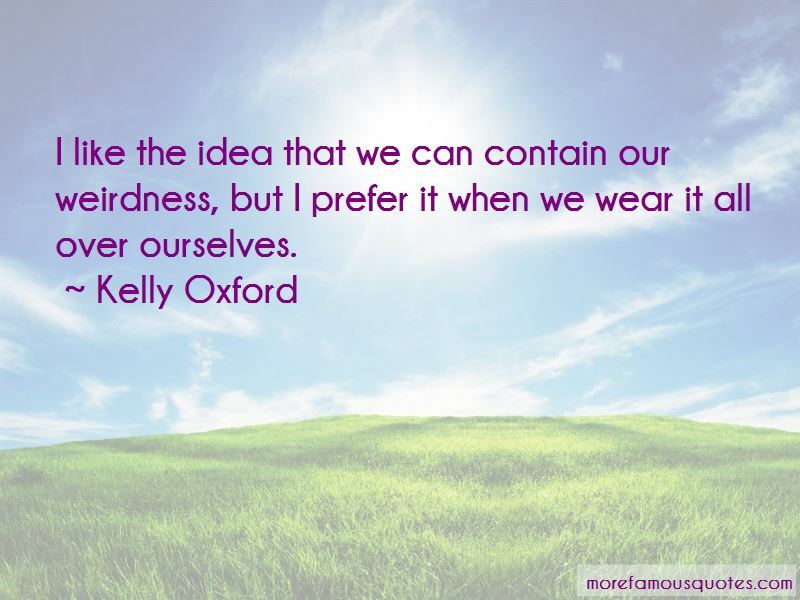 Enjoy the top 7 famous quotes, sayings and quotations by Kelly Oxford. I wasn't old enough to realize that I could be my terrible self and have people love me for that. I find a lot of people struggling in their lives because they feel like it was expected they do a certain thing or act a certain way and not follow what their gut is telling them to do. I like the idea that we can contain our weirdness, but I prefer it when we wear it all over ourselves. I like how glasses suggest intelligence instead of broken eyes. Want to see more pictures of Kelly Oxford quotes? Click on image of Kelly Oxford quotes to view full size.